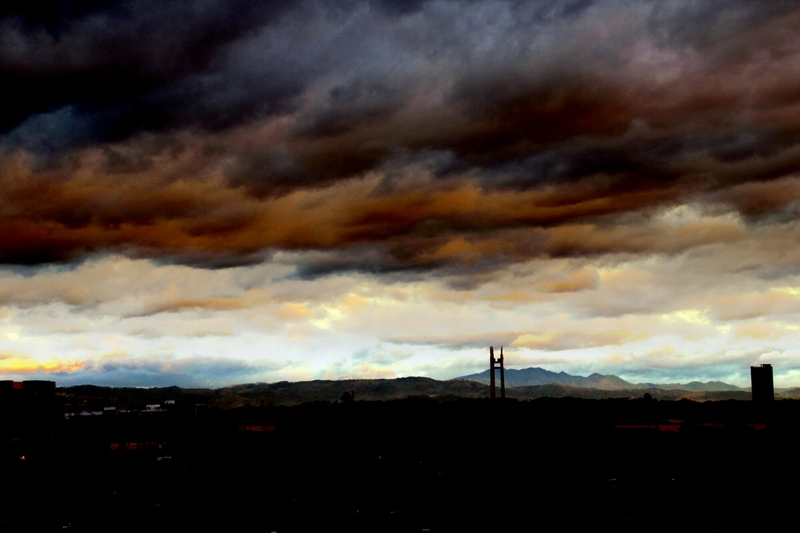 A skyline of my city, Quezon City, in the Philippines. The tower you see is the Quezon Memorial Monument where the remains of our former president, Manuel L. Quezon, lies. The Sierra Madre Mountain Range can be seen in the horizon. The Sierra Madre is the longest mountain range in the Philippines that spans about 210 miles with a highest peak of about 6,000 feet. I took this picture on the roof deck of a mall and made a time lapse of the city. But instead of doing a video, I overlayed and merged the time lapse photos as one image using the Photoshop Touch (via my Android phone).